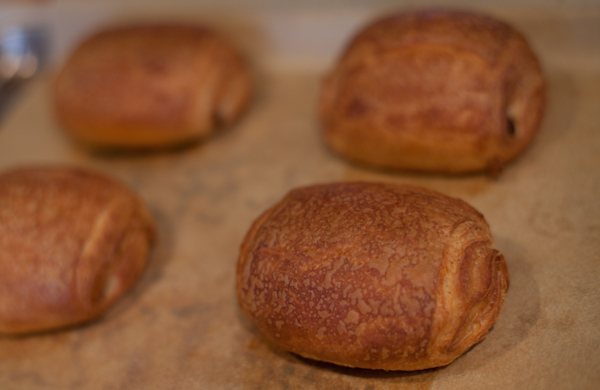 The Artist won big last night at the Academy Awards and so to celebrate all things French we made chocolate croissants for breakfast. 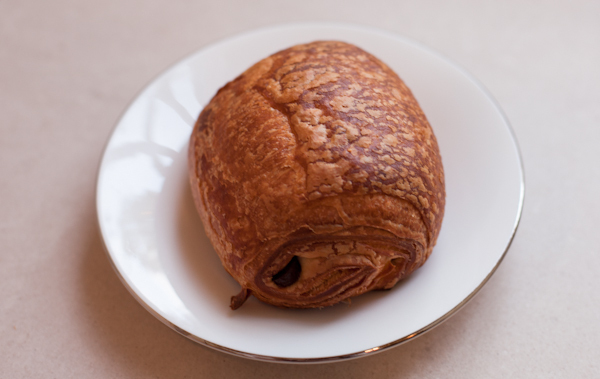 Okay, so we didn’t get up super early to roll out layer upon layer of flakey pastry – instead we used Trader Joes frozen chocolate croissants. 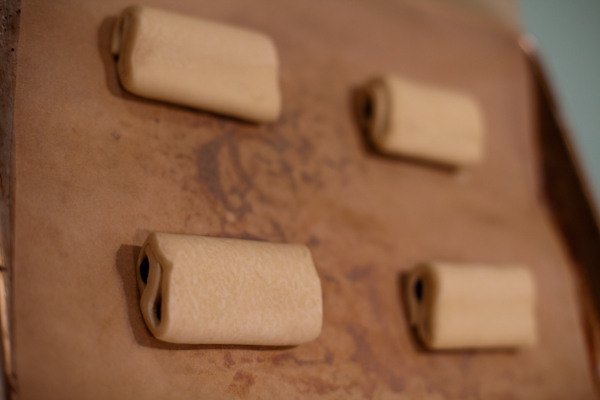 A favorite in our house because they start off as funny little flat rolls of pastry that you leave out over night. 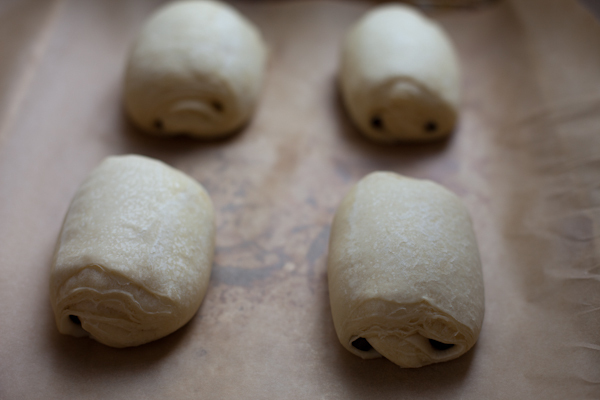 In the morning as if by magic, they puff up and are ready to bake. Pop them in the oven for 30 minutes at 350 degrees F et voila! Piping hot flakey pastry with not one but two strips of delicious melted dark chocolate inside. Now we are really dancing up a storm a la Artist over here. Strange to think that a black and white, wordless movie can win the Academy Awards for best picture, best director, best actor, costume design and close to our hearts – best score. Just like Singing in the Rain the movie focuses on the turbulent time Hollywood faced with the coming of the talkies in the late 1920s, at the time of the first Academy Awards ceremony. Last year I was very honored to sit next to my friend Kevin Brownlow at the Governors Awards when he was presented with his Oscar for his lifetime’s work preserving and restoring silent movies. Perhaps on the back of this and now The Artist’s win, someone in Hollywood would now contact Kevin at PhotoPlay Productions and fund his Fairbanks project – [cough off screen] Harvey? 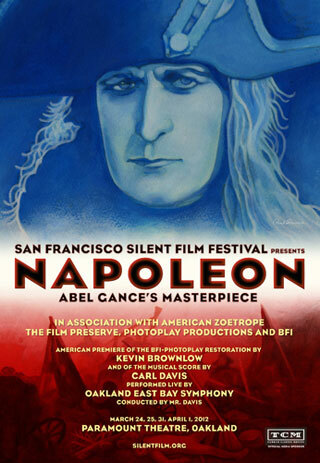 And to see Brownlow’s magnificent restoration of one of the greatest silent movies on the big screen with a full orchestra The San Francisco Silent Film Festival are screening Napoleon, with Carl Davis conducting his score, on March 24, 25, 31 and April 1st. Tickets available now. 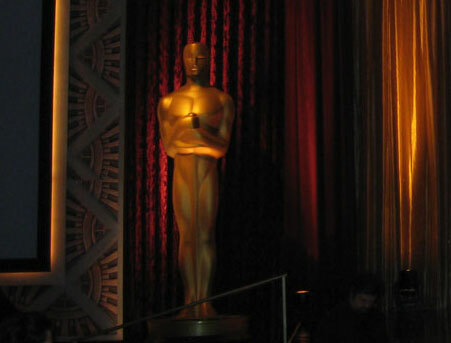 Congrats to The Artist for it’s Oscar win and what a nice way to celebrate! What a simple way to enjoy a classic French tradition! I seriously need to see that movie! I need to see what all the excitement is about. 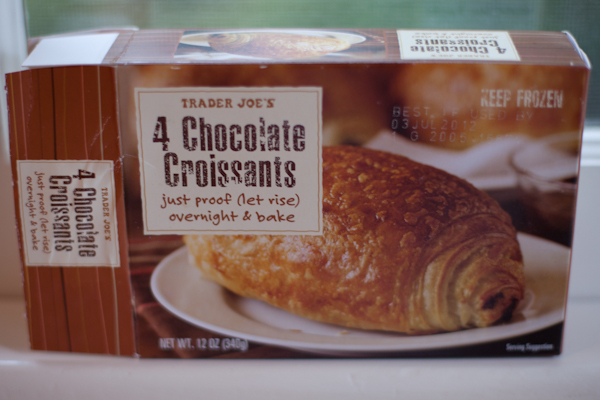 I’ve been dying to try those TJ’s chocolate croissants. If they photograph well, I am sure they taste and smell even better! if I could sit still long enough to watch a movie this would be the one 😉 Love the fun celebration!